Vari Morales our yoga master for our yoga tours in Cuba is known for his warmth and charisma. His powerful energy, effective hands-on adjustments, pranayama, chanting, and inspirational talks make classes are a truly transformational experience! Vari was born in New York City. Both of his parents immigrated from Puerto Rico. At an early age Vari started to ask himself “Who Am I”. 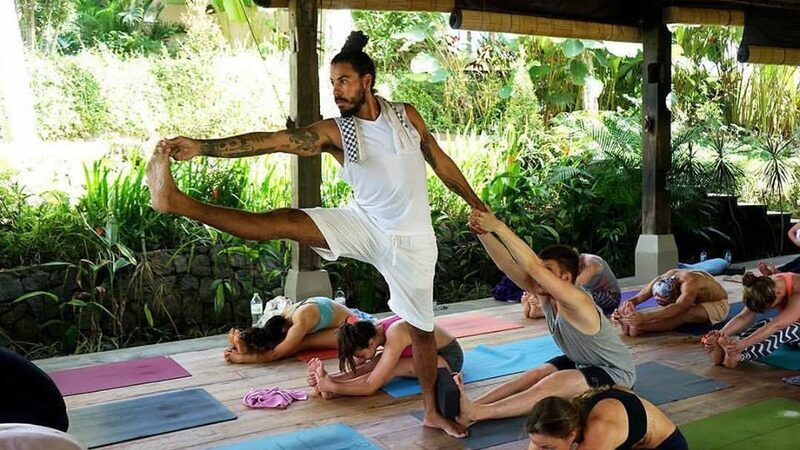 In his early 20’s experiencing life and its challenges Vari volunteered to do Karma yoga for 1 year at Kripalu Yoga Center seeking spiritual knowledge, and how to live a life fully expressed. During this time at Kripalu, Vari was living and surrounded with many gifted teachers, role models and enlightened souls who have devoted there lives to yoga and a yogic lifestyle. Having this opportunity to study with many teachers from different lineages, understanding various pranayama breath practices to unlock the power and the gift of our breath. Vari studied how energy “prana” is cultivated and transported thru the body, setting intentions “tapa practice”, observing the self without judgment, letting go and trusting the universe allowing yoga to work its subtle magic, to see our true selves “universal consciousness”, and experience pure unlimited potential. Vari’s teaching style is influenced from his childhood, all the different gurus and teachers that have entered his life, experiences at Kripalu, many years of yoga practice and yogic studies including teaching Thai massage. Vari has also made numerous pilgrimages to India where he continues to go deeper into his studies and practice in Mysore, Rishikesh, and Dharmsala. Vari’s teaching philosophy is rooted in the mindful connection to the breath regardless of the style of yoga one is practicing. As breath is life, nothing else is possible without it. Vari has been a dedicated yoga teacher, leading over 40, 200 hour teacher trainings and holding the highest level with the Yoga Alliance 500 hour RYT. Vari has been teaching for over a decade sharing his passion and inspiring others on a daily basis. Teaching internationally, Vari teaches in the USA, India, Indonesia, Thailand, Japan, Central America and Europe.